The Easy Fly Pro is Ideal for Face Trimming of perfect bound and thread sewn soft cover books with Flaps both for the bookbinding and the print on demand lines. Only approximately fifteen seconds are required for changing size automatically by simply keying in the book dimensions (length, width and thickness ) via the touch screen. EasyFly does not use vacuum or suckers, but accomplishes the opening by working in the trim away area of the book, thus avoiding any damage whatsoever on the cover. EasyFly can handle long or multiple fold flaps without any problem. 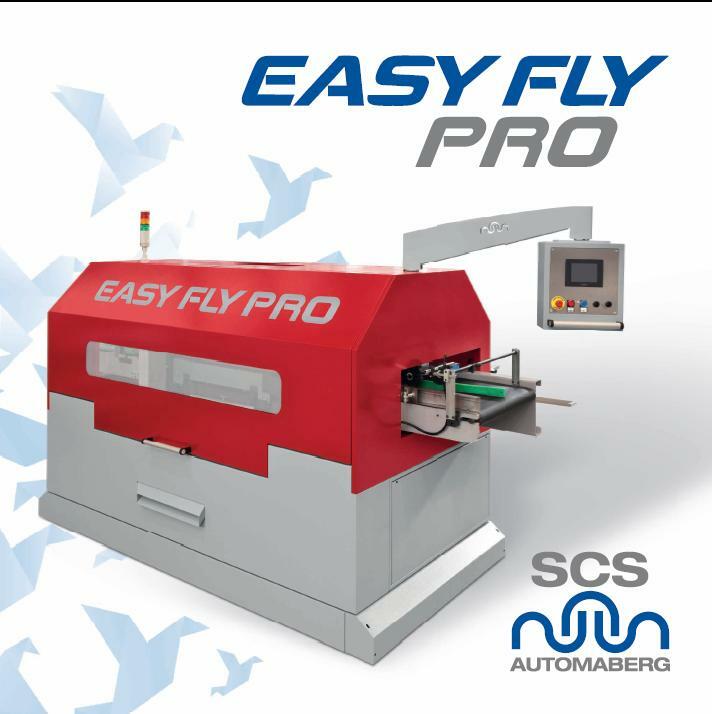 Easy Fly can be positioned before or, if required, after the three knife trimmer by just replacing a piece of conveyor, without changing the layout of the existing line. By simply pushing a button EasyFly is transformed into a regular conveyor belt, no bypass or similar equipment needed.